Welcome to the world of Martin Scorsese, where men are REAL MEN. The greatest macho director in the world tells the story of Henry Hill. Henry always wanted to be a wiseguy, and his dream gets fulfilled. 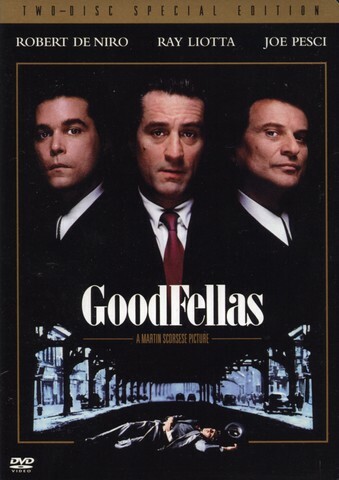 Brilliant acting by Liotta, Pesci and Scorsese regular Robert de Niro makes this among the best of Scorsese`s films. 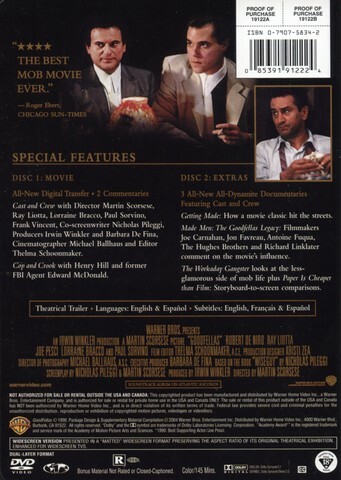 It`s one of the best mafia films ever made. Only the two first Godfather films are better. With Goodfellas, Scorsese delivers a masterpiece of a gangstermovie only toppened by The Godfather Trilogy. Goodfellas is based on a true story about the life of the main character Henry Hill. The movie follows Hill in a period of three decades. Goodfellas is simply a perfect movie, and beyond doubt one of the best films ever made. The acting of Ray Liotta, Joe Pesci and the fabulous Robert De Niro are among the best performances ever. Goodfellas should be used as an example of how to make the perfect movie in schools for directors. From 1-6, this is a 6.EB.¨Pure Genious!